Sherrie Carnicle Fitness is committed to inspiring others to reach their highest potential of health, well-being, and personal excellence through alignment of mind, body, and spirit. 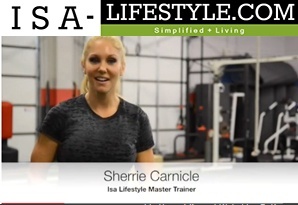 Sherrie Carnicle Fitness promises to deliver a safe, effective, and personalized approach to nutrition and fitness to optimize health and well-being. Clients will always be encouraged to strive for improvements and expected to always do their best. Sherrie Carnicle will use the best of her knowledge, experience, and proven success to help others achieve personal excellence. Sherrie Carnicle Fitness strives to ensure continuous improvements in mindset, self-awareness, body composition, fitness level, and overall health and well-being.